Chris Work currently serves as the Vocal Music Instructor for Plattsmouth High School where he directs the Varsity Choir, Bella Voce (women’s choir), Uncommon Time (‘select’ ensemble), and Sapphire & Ice (show choir). He also music directs and assistant directs the musical each spring. In addition to his work at PHS, Chris regularly conducts and performs with the Tangier Shrine Chanters. He also shares a passion for theatre, and has appeared in numerous productions at the Omaha Community Playhouse, as well as Theatre West (Scottsbluff, NE). Chris graduated from Hastings College with his Bachelor’s degrees in Vocal Performance and Vocal Music Education in 2012. 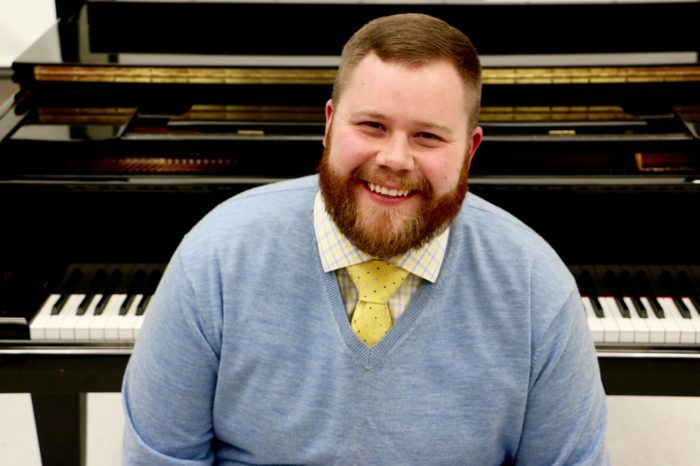 A continuing educator, he is a proud member of the Nebraska Music Educators Association (NMEA), the Nebraska Choral Directors Association (NCDA), and has participated in the Show Choir Camps of America Summer Conference.